A virtual data room (VDR) is an online repository used for the storage and distribution of documents. VDRs allow companies to share their confidential or proprietary information with an additional party in a controlled setting. The tools enable the hosting of confidential information under strict permissions, and manage the viewer’s ability to release the information by limiting the ability to forward, copy, or print the documents. Digital rights management is a critical aspect of virtual data rooms due to their use during the due diligence process for mergers and acquisitions transactions as well as private equity and venture capital transactions. Virtual Data Room reviews by real, verified users. Find unbiased ratings on user satisfaction, features, and price based on the most reviews available anywhere. 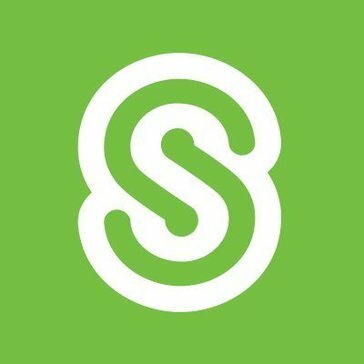 Citrix ShareFile helps businesses exchange files easily, securely and professionally. Citrix solutions power business mobility through secure, personal workspaces that provide people with instant access to apps, desktops, data and communications on any device, over any network and cloud. Ansarada is an AI-powered dealmaking platform provider focused on helping companies and their advisors thrive amid their most important business events, such as mergers and acquisitions, capital raises, IPOs and audits. Ansarada’s platform draws on more than 25,000 business-critical events worth over $2 trillion to deliver the most sophisticated dealmaking artificial intelligence on the market. Customers include some of the biggest companies and strategic advisors in the world. The ShareVault virtual data room makes it easy for you to securely share confidential documents with third parties. Backed by the experience of billions of dollars in deal transactions, ShareVault is the preferred virtual data room for M&A, Asset Sales, Fundraising, Licensing/Partnering, and Board Collaboration. Thousands of large, medium and small companies, VCs, investment bankers, law firms and accountants rely on ShareVault's simple and secure platform for streamlined due diligence. Compared to consumer-grade solutions, ShareVault virtual data rooms offer many features that give you control and document intelligence with the highest level of document protection and monitoring available. Onehub offer secure, cloud-based business file storage, sharing and sync for the the enterprise. CapLinked makes it faster, safer, and easier to manage business transactions in the cloud. CapLinked’s secure platform provides companies with easy-to-use tools for capital raises, asset sales, mergers & acquisitions, real estate deals, investor & board reporting, business development negotiations, and other types of complex business transactions. The Wall Street Journal called CapLinked “the go-to place for setting up and closing deals,” and Inc. Magazine named CapLinked to its list of 5 Back-Office Tech Innovations. Digify is a virtual data room for business. Digify integrates document security, automated watermarking and file tracking capabilities in one secure solution at a fixed affordable price. Send, track and protect your documents with Digify. Brainloop DealRoom drives digital transformation in the boardroom through secure corporate governance & collaboration solutions. Leading corporations and professional firms worldwide trust DataRooms.com with their most critical due diligence and secure information exchange needs. Our clients count on us for a powerful combination of intuitive technology, tamperproof security and sensible pricing all backed by around-the-clock, personalized support. dataroomX ® is a virtual data room solution for due diligence of the provider rdts AG and as a trade name protected by copyright of the German Patent and Trademark Office. DataSend is a virtual data room for secure file transfer. Deal Room Data is a virtual data room service for brokers and M&A professionals. We provide a multi-level service for the independent broker up to the large firm. DocRAID is the pioneer in CloudRAID technology, 100% zero-knowledge backup and file sync, secure file exchange, and easy to use email encryption. EthosData's room service optimizes the due diligence process and offers an efficient method for sharing confidential information for online due diligence. FileControl specializes in providing hosted software-as-a-service (SAAS), Active Knowledge and Litigation Management Solutions that help businesses attain efficiency and significantly cut costs. A VDR is a necessity, but typical VDRs often create more headaches than they should. The platform is easy to learn, use, and start implementing right away. FORDATA is the provider of Virtual Data Room Solutions in Poland. FORDATA helps its customers in managing documents and communication during complex and confidential deals. HighQ is a provider of cloud-based enterprise collaboration and publishing software. HighQ provides innovative social software to some of the world’s leading law firms, investment banks and corporations. 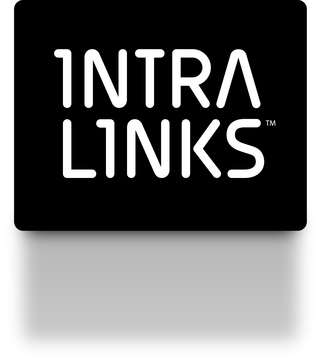 Intralinks Virtual Data Room will make VDR is set up to maximize productivity, with 24/7/365 support. Ipreo Prism Virtual Data Room provides modern virtual data rooms and portals enabling firms to securely store and share documents associated with fundraising and investor communications. Our virtual data rooms provide rich and flexible features to allow your firm to safely manage its confidential transactions. SaaS based secure enterprise digital M&A platform dedicated towards management & execution of M&A deals. The platform allows companies to run systematic deal discovery, due diligence and post-merger integration all within the same platform. With MergerWare, companies are able to establish a recurring high quality M&A process that diminishes the risks that come bundled along with traditional approach of deal management. MergerWare helps companies derive greater value from every deal by ways of standardisation of processes and efficient project management and risk management features. With Real time data at your finger tips, be in control of your deal success. Merrill DataSite enables efficient collaboration during pre-market data collection and review, and provides potential buyers and other interested parties with seamless access during due diligence. Merrill protects corporate data with the highest level of enterprise security, including end-to-end encryption and a single chain of data custody, as well as enabling in-house hosting and management. Mvine is a developer of Cyber-Secure Platforms and services that enhance the digital experience of customers, members, partners and employees through its cloud based platform. It develops collaboration portals, or business social networks, integrate with corporate data and applications. Organizations can create special interest groups and establish rights by role to secure important presentations, briefs, or contracts. In addition to its extensive functionality and high level of security, the netfiles data room is characterized above all by its user-friendliness. netfiles offers virtual data rooms for sensitive business processes, secure data exchange and collaboration in project teams. RJ Data Rooms is a web-based application that provides digital documents sharing, uploaded documents control, and permission-based access features. Ruby Datum offers online data room and contract management services. Safelink Data Rooms provides straightforward and secure virtual data room (VDR) and extranet systems for the legal, financial services and government sectors. ShareSecure from Altvia allows investors to have access to a flexible LP portal thats designed for ease of use, security and convenience where investment related documents and reports are safely stored so that investors can access them with no wait and fund managers can improve transparency as well as efficiently track for compliance. SmartRoom is a virtual data room that doesn't compromise between functionality and security. Societeinfo.com is the result of open data and a good dose of technical innovations offering you new possibilities. With more than 9 million company, association or freelance listings, we offer you all the legal, financial and contact information you need! Need a Virtual Data Room? You are different. Your data room site should be different, too. Custom fit and fully branded data rooms built in less than one day. Virtual Vaults is an innovative Dutch firm providing a secure data sharing platform to a wide range of organisations from across the world. V-Rooms offers makes it perfect for businesses across all industries. V-Rooms is utilized by corporate management, accountants, lawyers, investment bankers, advisors and much more.